The scorching heat during the summer months can take a lot out of an angler and can put the fish in a lazy mood as well. Those cool early mornings just aren’t long enough to keep you and the fish active. Shade and cold water can be scarce like freshwater in the desert and being able find fish that will feed while the sun beats down upon you can be a discouraging task. The blazing July and August months can be a frustrating fishing period for an angler but thankful there are ways to escape the heat and land quality fish at the same time. Think back to all those times you went fishing until sun down and try to remember what the air felt like before you packed up your fishing equipment and headed home. Chances are you felt a slight temperature drop and things started to cool down with the sun subsiding behind the horizon. Have you ever wondered what fish do when the sunset? Do they pack up for the day just like you do? If you have never taken the time to experience one of most exciting and effective times to fish you should probably consider planning your fishing trips a little later and setting out on the water at dusk. Night fishing is the cure for summer fishing fever and is the answer when fish are in a lethargic mood and refuse to feed heavily during daylight hours. A few things to keep in mind is fish do not have eyelids, so unlike other terrestrial creatures they cannot close their eyes when blinded by light. This usually requires fish to find shade and cover when the sun is beating down on a lake or pond especially when the water is clear. At night the fishes eye are able to adjust to the darkness once escaped the beating rays of the sun, and since fish have substantially greater eye sight than humans they are still able to key in on their prey and feed. 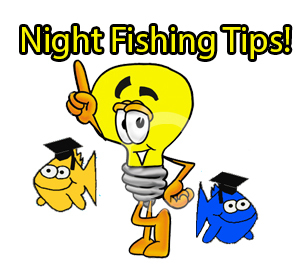 One other plus about fishing at night is that water temps will most likely be cooler at night opposed to during the day which can trigger fish to be slightly more active. Jigs with plastics work great when trying to imitate a craw or baitfish. these types of baits will land more fish during the middle of the night all the way until dawn. Lures like a jig and craw or a small jig head with a twister tail are the perfect combo for targeting fish that are feeding in deeper open water near dropoffs or lively weed beds. Its important to avoid maintaining bottom contact when using a heavier baits like these keeping the bait above weed beds and or in the mid to lower section of the water column. This will allow the bait to stand out in the open and create a subtle free falling presentation that most fish cannot turn down. 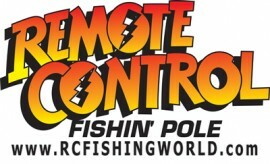 The most important part to this tactic is to fish with darker lure colors such as blues, blacks, purples, or sapphire. These colors will create a distinct silhouette when gliding through the water thus making the bait more visible. Despite what you may have learned darker colors will show up better in lower light conditions due to the fact that there is no light to reflect off of colors such as yellow and white in the first place. Hopefully you’ve been able to grasp the idea of night fishing a little better now that you’ve learned a few simple and effective methods on how to target night time fish. While it may seem a little daunting give fishing in the dark a try and you my surprise yourself once you’ve realized all the fish that can be caught in the dead of night.